Caroline is a high-energy local expert who is committed to delivering a client-focused experience built on trust, communication, quality, and business savvy. Her knowledge of current market trends combined with ambition and professionalism make her an invaluable asset to clients looking to buy, sell or lease their home. Caroline’s love for problem-solving and negotiation, combined with her strong belief that the most treasured memories are shared in the home, has resulted in a passion for the real estate business. 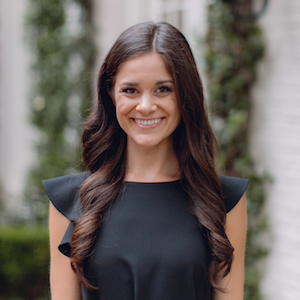 Caroline graduated from the University of Texas at Austin and holds a bachelor’s degree in communication studies with an emphasis on corporate communications. She earned her real estate license during her senior year at UT and has been working in the market ever since. Caroline honed her skills as part of Meredith Ferrell and Brenda Ray’s notable real estate team. With over 30 years of Dallas real estate experience, top producers Meredith and Brenda stand behind Caroline’s talent and expertise in real estate and building lasting client relationships. Caroline enjoys serving and staying involved with her community. She is an active member of the Texas Exes Alumnae Association, the Kappa Alpha Theta Dallas Alumnae chapter, Young Friends of the Ronald McDonald House, and the Slipper Club of Dallas.